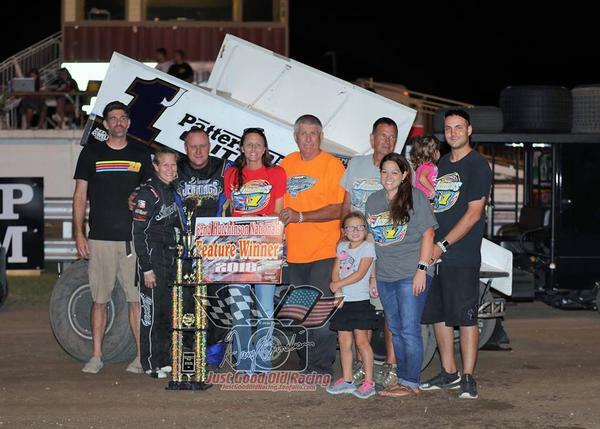 Jennings Repeats in NCRA Sprint Appearance at Hutch Grand Nationals! Hutchinson, Kansas – August 4, 2018 - Coming off an emotional win last season in the “Mid-Summer Classic,” veteran Danny Jennings of Norman, Oklahoma solidified his statement on how much he and his crew enjoyed running atop the famed half-mile oval atop the Kansas State Fairgrounds in Hutchinson, Kansas as he claimed the National Championship Racing Association of Park City, Kanas presented by Precise Racing Products sprint car portion of the 62nd annual O’Reilly Auto Parts Hutchinson Grand Nationals presented by Allen Samuels Dodge, Chrysler, Ram and Jeep of Hutchinson on Saturday night. Jennings, aboard the David Grace Motorsports owned #1j and Jeff Stasa started on the front row for the fifteen-lap championship feature with Jennings and his Patterson Elite powered Maxim chassis taking the lead as the green flag fell. Third-starting Don Droud, Jr. of Lincoln, Nebraska quickly moved into the runner-up position aboard the Ochs Brothers #1x yet there was no catching Jennings as he claimed his fourth overall Hutchinson Grand Nationals championship and second in a row. Droud and the MAP Inc./Ruff Bailey Cattle Co./Heeke Farms/Jennifer Ann Designs sponsored Schnee chassis would settle for second while Stasa and his Jeff Stasa Motorsports/SBR Motorsports/Keizer Wheels/Simpson/Young Tool Company/Wix Filters/CP Carrillo/5D Composites/Penske Shocks sponsored Eagle chassis finished a strong third. Jake Greider and his Auto Masters Service Center/Speedway motors/Bybee Electric sponsored Maxim chassis #20g came home fourth while the Schroeder Racing Engines powered Maxim chassis of Jeremy Campbell rounded out the top five. The NCRA Sprint Car series is set to take the track at 81 Speedway in Park City on Saturday night, September 1. 13 cars! As a Kansas Sprint fan I'm embarrassed. Why even run it. So sad. Can easily remember when this was a premier event. 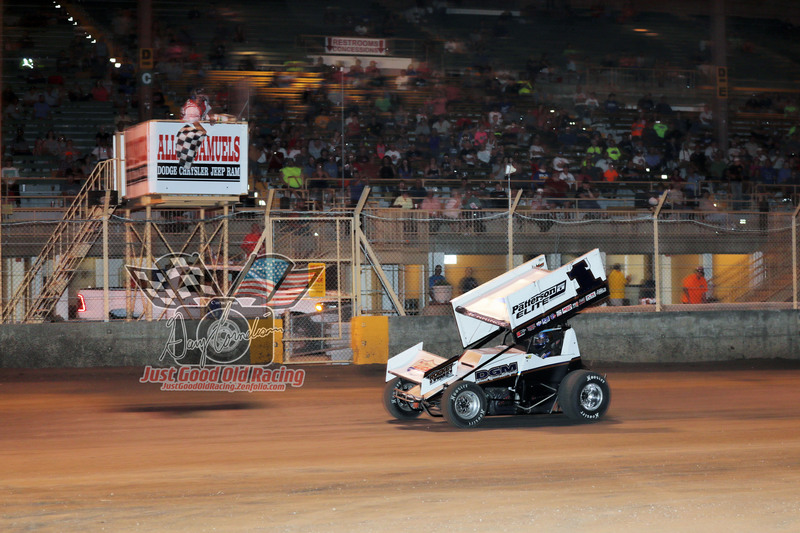 Well lets see ASCS 360 Nationals at Knoxville and the inagural Belleville 305 Nationals ( which a lot of NCRA guys also run 305's) so other than that it was a perfect weekend to run it !